Gov. 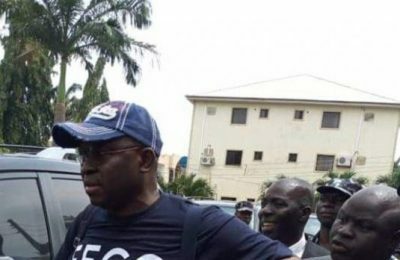 Kayode Fayemi of Ekiti State has clarified his stance on the fate of the immediate past governor of the state, Ayodele Fayose. Fayemi spoke with State House correspondents after a closed-door meeting with President Muhammadu Buhari on Monday at the Presidential Villa, Abuja. 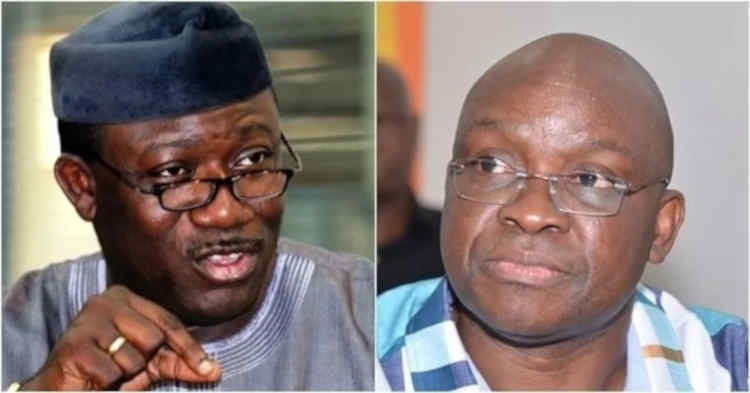 Fielding questions whether he would probe his predecessor, Fayemi explained that there was never a time he said he would probe Fayose. According to him, reports of such probe are on the table of anti-graft agencies. “Well, I am sure I have never said anything about probe, and I do not say anything about probe. “Looking into books is the duty of any new governor, you need to know what you found in place, I just talked about visitation panel into the education sector in the state. “There are other sectors in the state, and it will be remiss of me not to check what we found when we came into office and share that with the citizens of the state. “It is just accountability not probe. I am not EFCC I am not ICPC, there are institutions that are charged with the responsibility to do that and its entirely up to them if they want to probe the governor or not. 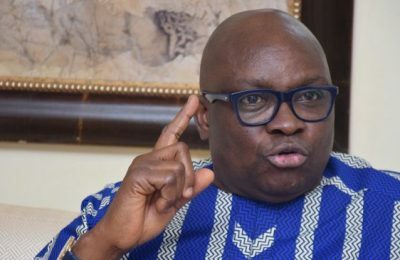 Fayose is presently being prosecuted by the EFCC over an 11-count charge of conspiracy and money laundering. Speaking on the state of education, Fayemi said that Ekiti had a tradition of being the intellectual capital of the country but it seemed to have lost that edge lately. He said that his government was working toward repositioning the sector, particularly at the basic and tertiary levels. The governor said that he had set up visitation panel in all the tertiary institutions in the state to review and recommend what the critical and challenging issues were and how government should respond to the yearnings of the sector. He said the government was taking specific steps to address access to education in the basic education sub-sector. “Before now, Ekiti used to be the leading state in terms of school enrollment in the country but the latest figures we received from the Universal Basic Education Commission (UBEC) makes it clear that we are lagging far behind. “We have moved from 96 per cent enrolment in the entire country to about 45 per cent meaning that about 55 per cent of our school age children are of school. “That is unacceptable in a state like Ekiti and we need to find out what has happened between 2014 and 2018 leading to this appalling figure in terms of school enrolment. “And one of the very first things we are doing to improve enrolment is to make sure that all fees and levies in the primary and secondary sector are removed, so we have removed that. 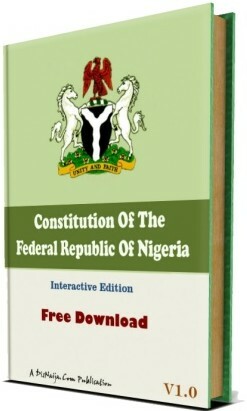 Fayemi said that the government was also doing all it could to encourage more students to come into school. He said that the state government would commence the school feeding programme in Ekiti State in order to ensure that kids that did not have the opportunity to be in school were enrolled. “We are also ensuring that we pay salaries regularly because you cannot expect parents who have not received salaries for six to 10 months on the one hand and the children are being asked to pay education levy on the other hand to have the capacity to send such children to school. “So, it is a double whammy for such families, we need to make sure that education which we see in our party as a right and not a privilege at least at the basic level should be free, compulsory and qualitative and that is where we are returning Ekiti to,’’ he said. 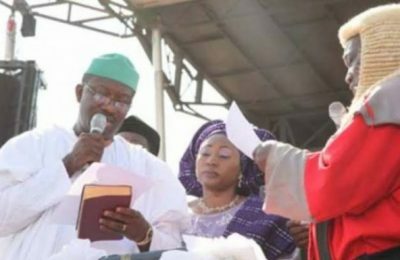 The governor dismissed insinuations that he was having disagreement with the labour union in his state.